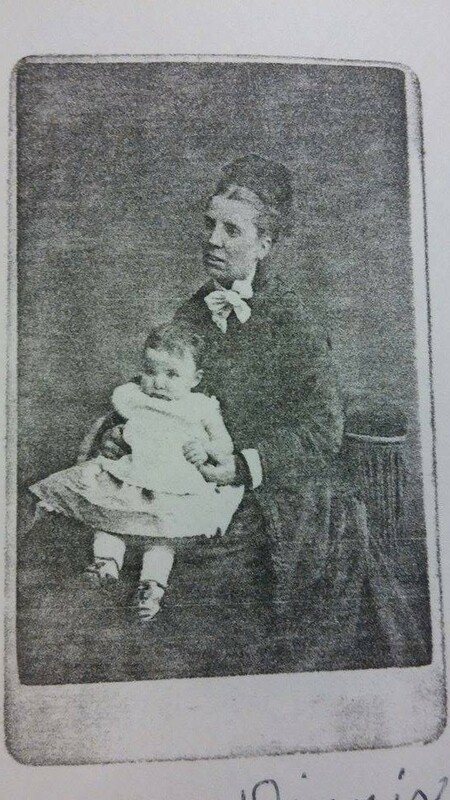 Fanny Dinnis married John William Forbes on 9 December 1876, and the next information I can find comes in the birth and baptism records, when we can see their first daughter, Edith Beatrice Forbes was baptised on July 8th 1877 so I guess she was quite premature! Looking at the entry above Edith Beatrice it shows that on the same day John Taylor Dinnis, son of George and Catherine Dinnis was baptised. We know that sadly little John Taylor Dinnis didn’t live for very long, passing away in February 1878. My American cousins have sent me this photograph of Fanny Forbes Dinnis and Edith Beatrice Forbes taken in 1878. From the London Births and Baptisms 1813 – 1906 we see that Fanny and John William had another two children, both baptised on 27 November 1881. John Dinnis Hamilton Forbes was born on 8 May 1879 and Ethel Lilian Forbes on 18 October 1881. The England Census of 1881 confirms John, Fanny Forbes, Edith Beatrice and John Dinnis Hamilton Forbes (age 1) were living in Peckham, Lambeth. Also living at this address is Lucy Hamilton age 27, a boarder whose occupation is listed as a Milliner. 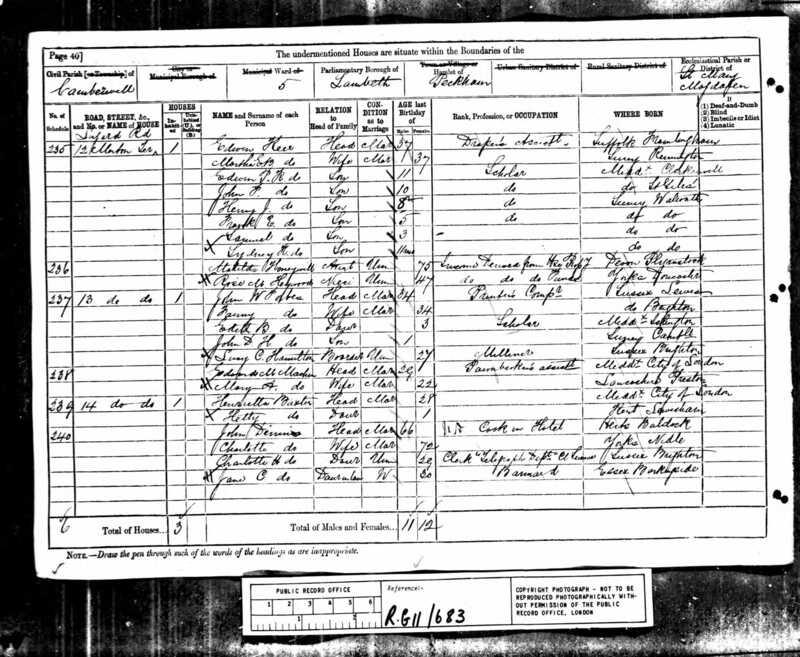 Looking back at the 1871 census, Lucy was also living with the family in Islington. She was born in Brighton, so possibly moved up there when the Forbes family moved. I wonder if John Dinnis Hamilton Forbes was named after her? The next post will tell the next chapter, which looks to be a sad one in the life of the Dinnis Forbes family. This entry was posted in Catherine Taylor, Edith Beatrice Forbes, Fanny Dinnis, George Dinnis, John Taylor Dinnis and tagged Baptism, Southwark. Bookmark the permalink. Oh wow, now you’ve got me thinking about Edith’s husband and the whole ‘Hamilton’ connection. I shall look into it later on today and let you know what I find! I understand you’re busy at the moment, there’s no rush, it’ll be a very interesting year for you and your sister going through everything and I look forward to sharing it with you.